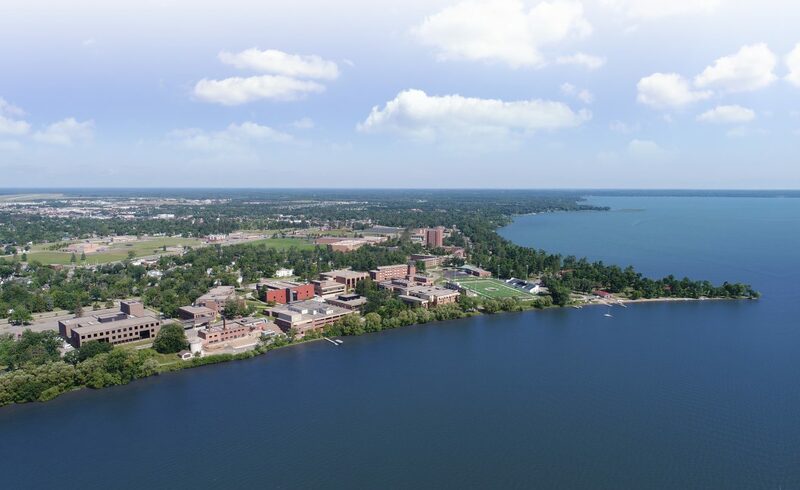 Aerial view of Bemidji State University on beautiful Lake Bemidji. Successfully receiving financial aid requires a number of steps that must be completed. Below, we’ve demonstrated the typical path for incoming students. If you encounter any problems, please contact the Financial Aid Office. If you are beginning college Summer 2019, you will need to complete the 2018-2019 FAFSA as soon as possible. This application requires 2016 Federal income tax information. It will also be necessary to complete the Summer 2019 Supplemental Application available February 22. The 2019-2020 FAFSA (starting college Fall 2019) is available as of October 1, 2018. To be considered for all Federal and State aid programs, complete this application as soon as possible. The application will require 2017 Federal income tax information for both the student and parent (if dependent). You must be admitted as a degree-seeking student before your financial aid application can be processed. The application for admission can be completed online or through the BSU Admissions Office. Submit your final high school transcript, as well as official academic transcripts from all other colleges that you have previously attended, to the BSU Admissions Office. The 2019-2020 FAFSA (starting college Fall 2019) is available as of October 1, 2018. To be considered for all federal and state aid programs, complete this application as soon as possible. The application will require 2017 income tax information for both the student and parent (if dependent). If you are planning on attending college between August 2019 and July 2020, you will need to complete this application. Your first step in securing any financial aid (excluding scholarships) is to fill out the FAFSA. All students must complete the application regardless of the family’s financial status if wanting to apply for Federal and State aid (including loans). Your FAFSA information determines your eligibility for a broad range of financial aid. Even if you do not have financial need, according to your FAFSA results, nearly everyone qualifies for some form of financial aid. Go to www.fafsa.gov to complete your FAFSA. When completing the FAFSA, make sure to add the BSU Federal School Code: 002336, so that the Financial Aid Office will receive your FAFSA results. We use your FAFSA results to determine your financial aid eligibility. If you’ve already completed the FAFSA and need to add BSU as a planned school of attendance, you can log back into the FAFSA website, click on “make corrections” and add BSU’s Federal School Code. The FSA ID – a username and password – must be used to log in to certain U.S. Department of Education websites. Your FSA ID confirms your identity when you access your financial aid information and electronically sign Federal Student Aid documents. You can create an ID when logging in to the FAFSA. If you are considered a dependent student for financial aid purposes, a parent will also need to create an ID. For help, visit StudentAid.gov. It is important that you remember your FSA ID, password and security answers. This information will be used in the future. When completing the 2019-2020 FAFSA, you will be able to use the IRS Data Retrieval Tool to transfer your 2017 tax information into the application unless you owe the IRS money. This method of providing income information is highly recommended in order to eliminate errors when entering the income for the student and parent. The SAR is the submitted version of your FAFSA. You will receive this via email or mail depending on whether you provided an email address when submitting the FAFSA. You should review your SAR and confirm that all the information is correct. If you have started the application process, but still have additional steps to complete or materials needed, we will mail you a Financial Aid Status Report detailing the needed items. In addition you will be sent an email to your BSU student email account with instructions on how to access the status report through your e-Services account. You should complete these items as soon as possible so that we can continue to process your application. Beginning in January, new entering freshmen with a complete aid application will be mailed a Preliminary Award Notification. The notice will show preliminary awards based on estimated program funding levels and school costs. Approximately mid-summer, you will receive an email notification when your Official Award Notification is available to view in your e-Services account. Log into your e-Services account, print the award notification and read it carefully. We also suggest that you compare your award notification to your bill. See Award Notification for more information about your next steps.